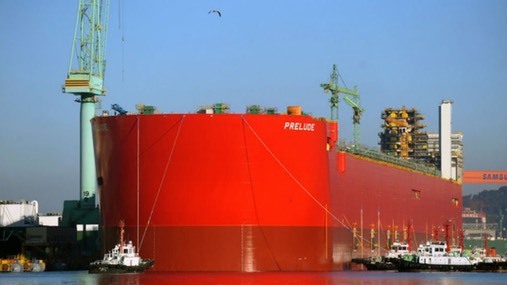 What's the largest ship in the world? Currently its the Emma Maersk series of 8 ships. The Knock Nevis was the largest ship in the world until it was scrapped in 2010. Here is the Knock Nevis's final resting place, the scrap yard at Alang, india (renamed Mount before it was scrapped). 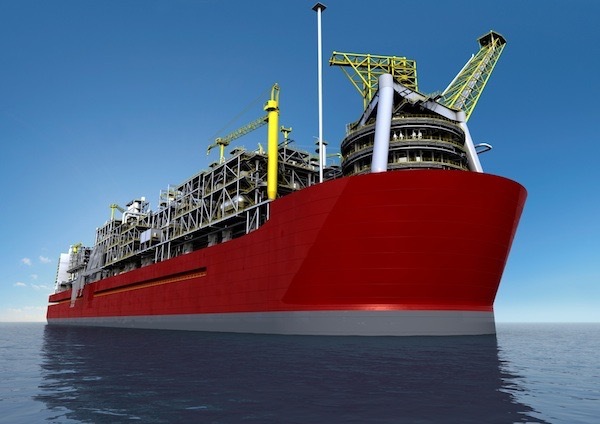 Shell's Prelude floating liquefied natural gas (FLNG) facility, which will be deployed in the Browse Basin offshore Northwest Australia, will be the largest floating structure ever built. At 1,601 feet long, the facility will be the length of approx. 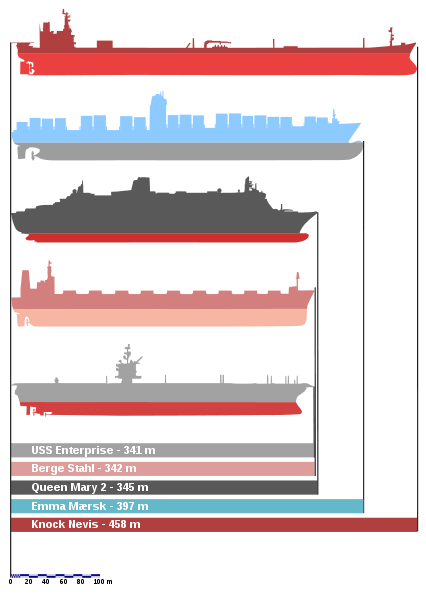 10 Olympic swimming pools, and at 600,000 tonnes, weigh six times of that of the largest aircraft carrier. Here is a picture of the Purdue in construction.